No Tools, No Help? Then This Truck Bed Cover's for You! Tonneau cover is hinged at cab rail for "FullTilt" action. Gull-wing latches secure cover without restricting cargo space. Perfectly-sewn black vinyl tarp with anti-curl corners and stainless steel TuffSnaps for a tight fit in all conditions. 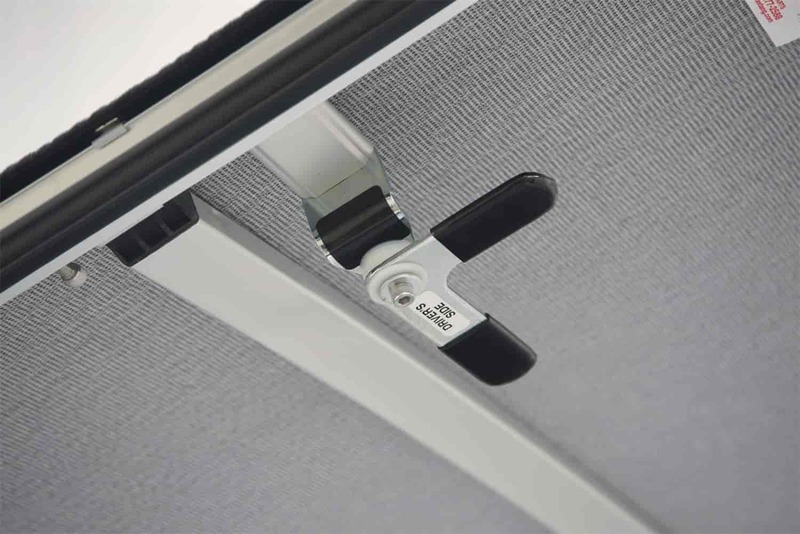 Extang's L-Rail & Quick-Release Hinges combine for simple, no-measure mounting with flawless open-close operation. This revolutionary design allows the entire tonneau cover to be instantly lifted & removed from the frame without tools. Gas shocks are designed to be removed by hand using a ball-and-joint snap release... cover is off within seconds! The FullTilt Tonneau Cover is available to accommodate most standard tool boxes. Self-draining L-channel included. Does Extang 8510 fit your vehicle?